This last month, we’ve rolled out lots of bug fixes to AMO as well as quite a few enhancements to the site. For the comprehensive list, check out bugzilla. We’d also like to highlight some changes that we think will help both developers and users of add-ons. Add-on developers can now see more about how their add-ons are doing. 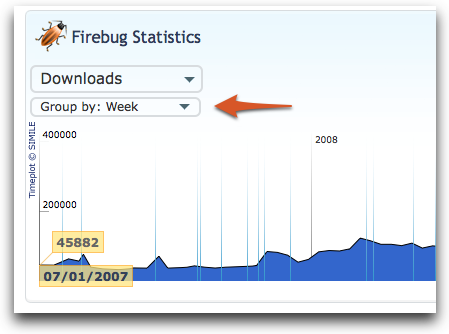 On the Downloads and Active Daily Users views, you can now aggregate by week or month. You can also compare weekdays for any two weeks of data. While we were in there improving things, Active Daily Users were also improved to count daily instead of just once a week. In addition to improved graphs, we made it easier to view tabular data in the dashboard. Using the very latest in HTML table technology, we present a table with the data in the aggregation you’ve selected under the summary area of the dashboard. You’ll no longer have to export to a spreadsheet if you just want a quick view of your add-on’s performance. 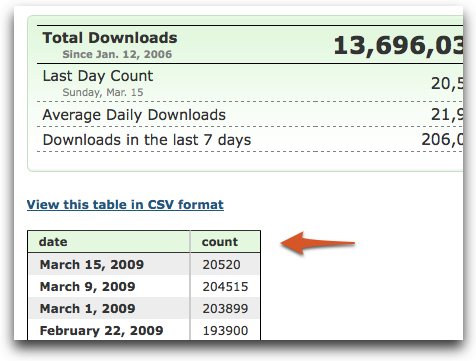 We’ve also added a link to download the CSV right above the table- it’s functionality we’ve always had but it wasn’t as easy to find as we wanted. For the dashboards to be accurate, all your external download links should point to AMO. In the past, this meant updating your links to point to a specific file version, as download links changed with every revision. 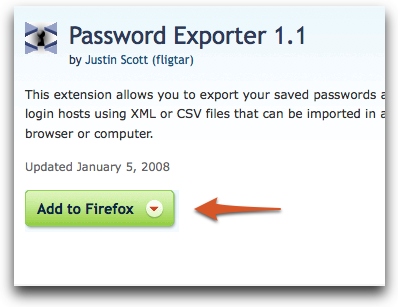 We’ve updated our “Add to Firefox” and “Download Now” buttons to link to a special permalink that will always serve the latest public version of an add-on. Simple grab the URL from this link for use in your external referrals to AMO. Please note: if you have a EULA set for your add-on, this permalink exists on the post EULA screen. Sometimes there’s an add-on that you really love and want to share with friends, other times you just want to save your favorite add-on to a bookmarking service so you can keep it handy. For these times, you can use our new Link Sharing feature. 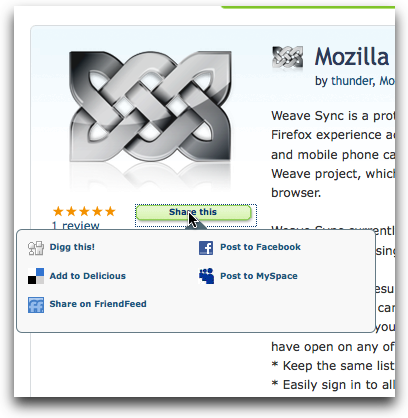 You can use it to post add-ons to a variety of bookmarking/buzz sites. If there’s any service we missed, let us know- we’re planning a few enhancements for this feature and always welcome feedback. For those of you nominating and updating add-ons in AMO, one of the frustrations we’ve heard is that the length of time for a re-review after a rejection is too long. We’ve done some thinking on how to solve this, and one of the things we found was that there was no notification mechanism in place to let editors know when an add-on they’ve rejected has been updated. Starting now, our editors will have the ability to get automatically notified when an add-on they’ve reviewed gets updated. We hope that this will help minimize the frustration of getting an add-on reviewed and rejected for a problem that can be fixed quickly and easily. As we discussed in our roadmap, we’re thinking hard about how we can make the experience better for add-on users and developers. We’re focusing on initiatives that will help with discovery and support of add-ons, as well as enhance the developer experience by improving the workflow, analytics, and community around add-on development. Coming up this next quarter, you’ll see changes to the end user experience that will make both featured and non-featured add-ons easier to find and discover. Features like tagging to help users navigate to the next add-on they want, and Collections, which will make it possible for users to share and track lists of their favorite add-ons. The sandbox process will continue to evolve, and the next step is building tools to speed up add-on review and help catch likely rejection causes before an add-on is submitted. Finally, we’ll be opening experimental add-ons for download by logged-out users, thus making it easier for new developers to get reviews and feedback on their add-ons before nominating them for public status. As always, we’re eager to hear what you think and very excited about the future of AMO. Great enhancements! Love the link sharing functionality. Great stuff Nick. One nit about link sharing to Facebook. The link text as it appears on Facebook does not mention the add-ons name. It just says ‘addons.mozilla.org’. The add-on icon would be a nice touch too. Thanks for the hard work. Hi Nick. I’m new to the “add-on” tech of Firefox and I’ve found some of them to be real useful. I know this is not the proper place to post a request about Add-ons. However, if you could direct me to the correct place, I’ll post there instead. I have questions regarding Tab Mix Plus version 0.3.6.1.080416 and an inquiry about Tab Mix Lite CE.